A unique site in Europe’s geology! The ocean is home to all kinds of species. The biggest animals of the world. Whales. A castaway at the very edge of Europe with a lush, evergreen landscape. Only on request for groups of 4 and more riders. 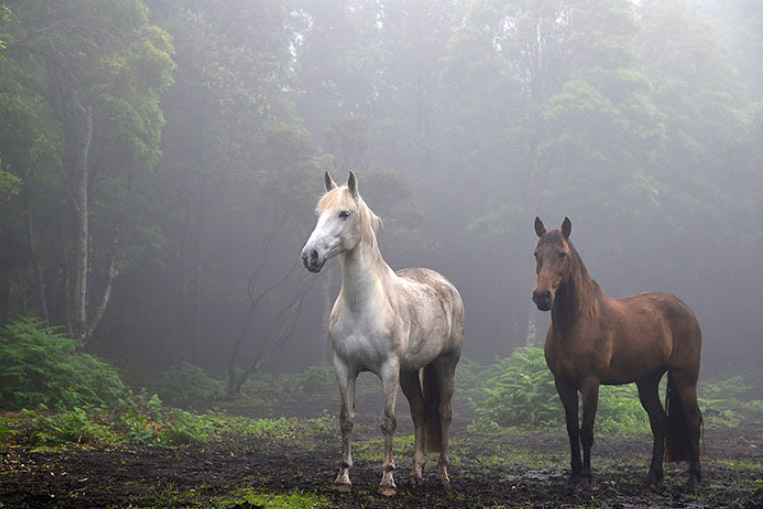 Small trails through historical villages below the highest Portugal’s highest peak. Rides through beautiful vineyards. 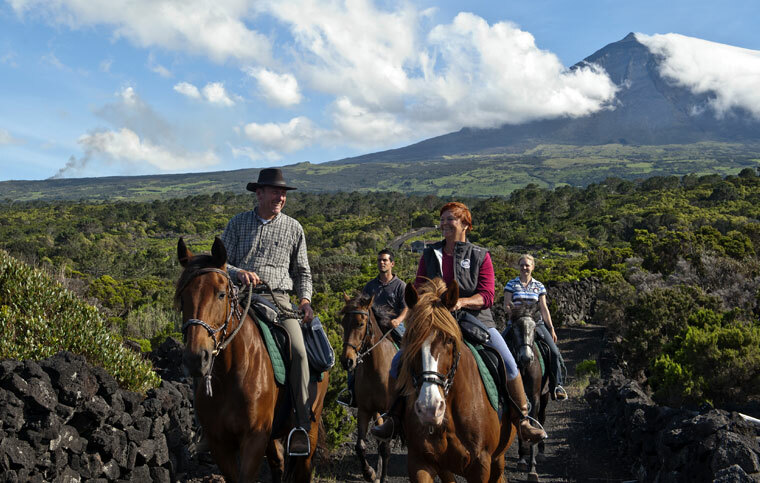 This summer we will discover new fascinating locations in the sub-tropical countryside of Faial island . 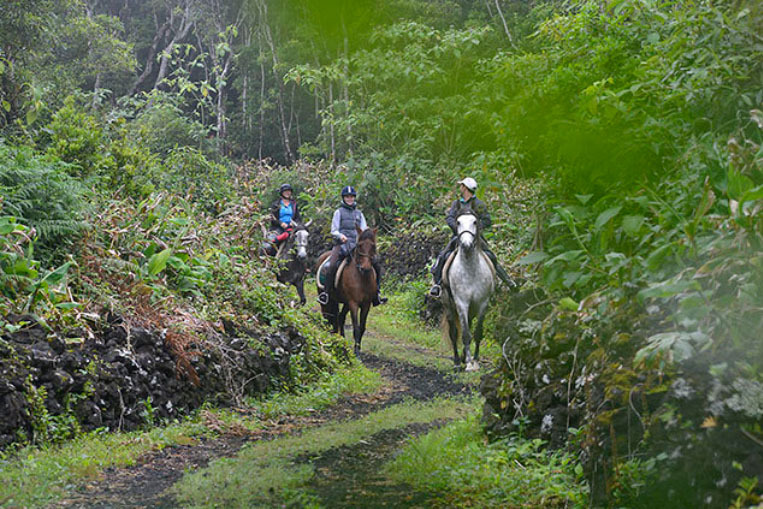 Perfectly tailored adventure with your individual preferences in mind. 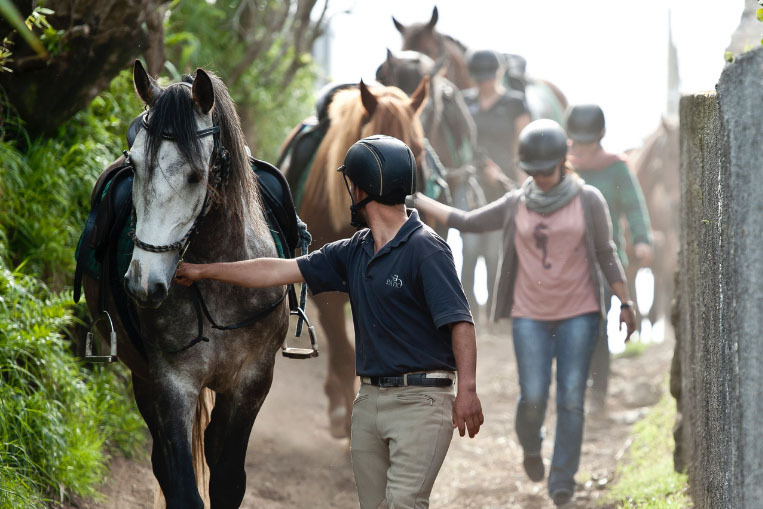 Enjoy Azores riding holidays for an affordable low price. 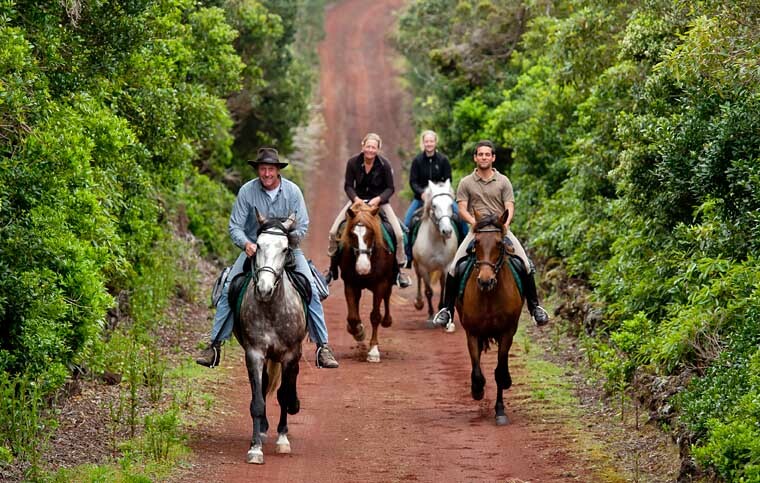 Perfectly combined adventure with riding and walking in the evergreen countryside of Faial island. Discover in the Mid-Atlantic the unique Island of Faial. Thousands of miles away from the continent we are enjoying the subtropical winter.. The end of the year in the Mid-Atlantic. 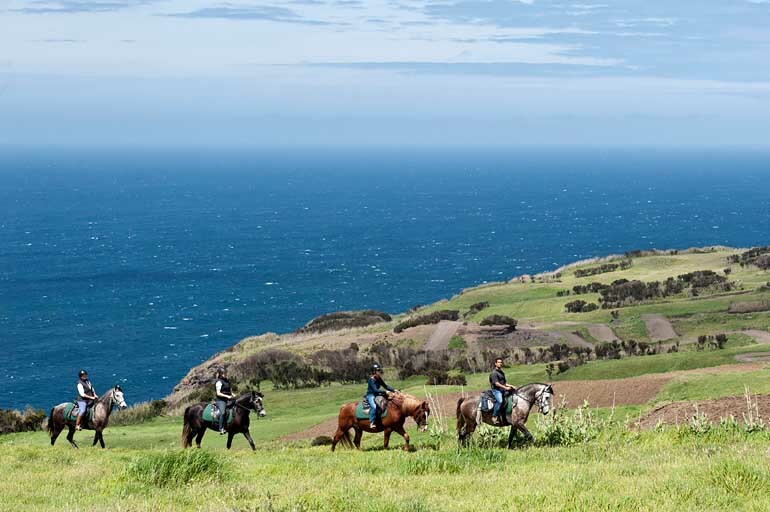 Discover during the Special Trail the unique Island of Faial. Faial and Pico are located in the middle of the Atlantic Ocean. The countryside is packed with forests and flowering gardens. Whales pass by the islands all year long. 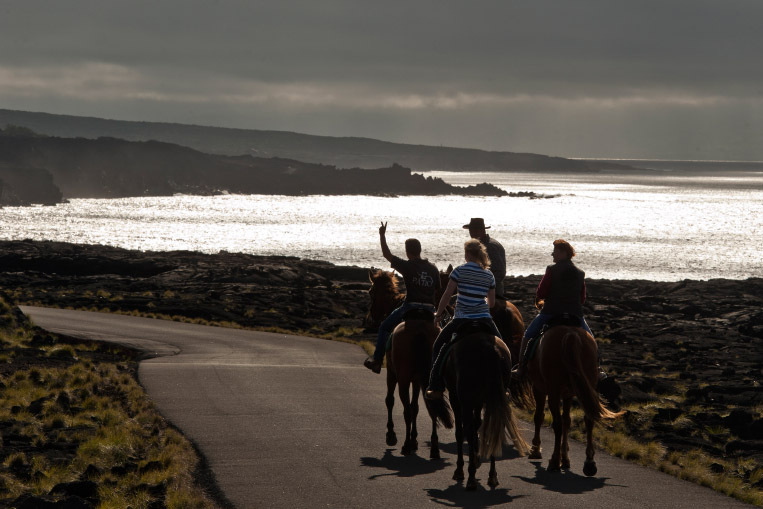 These animals are also an important part of the islands’ history – from whale hunting to whale watching. 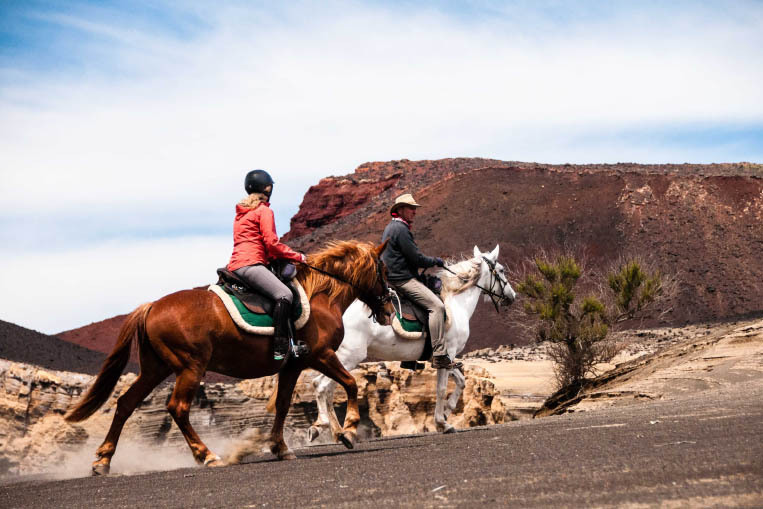 The tropical climate and the volcanic slopes create perfect conditions for lush vegetation – making Faial and Pico perfect for horseback riding.